Villa Rebecca near Mount Etna with sea views. 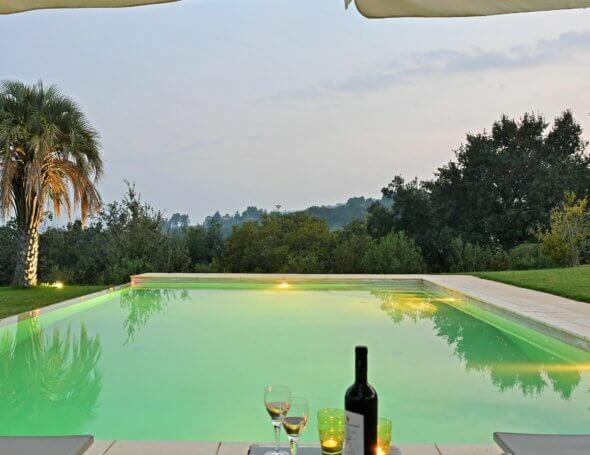 Villa Rebecca is an impressive Villa near Etna with sea views, a beautiful infinity pool and a huge lush garden. A perfectly placed base for exploring Sicily’s most famous sights and inviting coastline. The villa is in a dramatic setting nestled on a hillside the cone of towering Mount Etna in perfect view from the garden. As iconic Taormina, a huge volcanic nature reserve and sandy beaches are all accessible from here, it is ideal for a group who love to combine a relaxing get together in a beautiful setting, with interesting day trips. The vast outside space is the real attraction of this villa with its breathtaking sea views, green lawns and an infinity pool which will delight guests of all ages. Well set up for making the most of the warm Sicilian summers, the villa is flanked by a wide, shaded dining terrace and seating area for groups to dine and relax in comfort. With palm trees, cacti and olive trees surrounding the garden and views of the sparkling sea visible on the horizon, it is an idyllic place to unwind. A short drive away is the village of Piedimonte Etneo where you will find local shops, a café and street market. Active guests will enjoy hiking up Mount Etna while a trip to Taormina is a must for its incredible, ancient Greek theatre and its buzzy centre with its boutiques and restaurants. For further tips on where to go and what to see in the area, the hospitable villa owner is available for advice and guidance to make your stay truly memorable. A modern structure with cool white interiors and an attractive mix of antique and contemporary furnishings, the villa feels more like a home than a soulless rental property. The main living space has plenty of seating for a large group, including a mezzanine and cosy TV corner. With four bedrooms and a double sofa bed, the villa can comfortably sleep up to 10. Accommodation: Open plan living room with second sitting room on a mezzanine, kitchen, 4 double bedrooms, 3 bathrooms, double sofa bed available for large groups. As Villa Rebecca is newly available for rental, there are no guest comments to date. Massimo Villas team member, (Massimo), has visited the property and is happy to answer any queries.